Based off the work of the committee, the article identifies several reasons why ConnectArlington’s dark fiber expansion has failed to result in the economic development that officials were hoping for. One main reason is the design of middle-mile dark fiber network, which is unlit and doesn’t connect to individual buildings, making it difficult for Internet access providers and other companies to tap into the network. 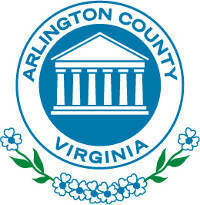 Arlington officials also identify Virginia state law, which places onerous restrictions on publicly-owned broadband networks, and other legal obligations that the county has as complicating factors, reports ARLnow. Although Arlington’s network has floundered since its construction four years ago, the many other publicly-owned dark fiber networks around the country prove that these kinds of projects can succeed if designed well. For example, the dark fiber network in Huntsville, Alabama, has attracted Google Fiber to the city, bringing better connectivity to residents and businesses. In California, the city of Pasadena leases dark fiber to large institutions, including local universities and a NASA laboratory, resulting in an annual revenue of nearly $500,000.